Execution capability is “the underlying ability to execute a strategy”. To illustrate, if you want to launch a product globally, you need a global infrastructure. Without a global infrastructure, you won’t have execution capability. The strategy will fail. For strategies to succeed, you need execution capability. It sounds simple enough. And it is. But simple is not the same as easy. Execution capability has four elements – processes, systems, people skills and partners. Every organisation needs these four elements to operate. The four elements of processes, systems, people and partners must work together well. It’s like the cylinders in an engine. 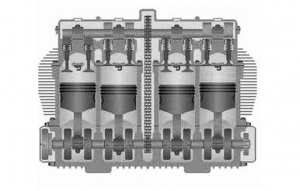 If one cylinder doesn’t work, the engine will not perform. And all four cylinders must be coordinated for the engine to work. Or like a rowing crew. If one rower doesn’t perform, the boat will not perform. And all four rowers must be coordinated for the boat to move. Execution capability is the operational health of an organisation. It’s like your personal health. Imagine you’re concerned about your health, so you visit your doctor. Assuming you have no major illness, the doctor will ask you about diet, exercise, sleep and stress. The doctor knows that to improve your health, all four of these elements must be balanced. She will work with you to develop a plan. You may need big changes in some areas, small changes in others. You will need to set priorities. And then agree a single plan covering all four elements. For organisations, there are also four elements – processes, systems, people and partners. And just like diet, exercise, sleep and stress for an individual, these four elements can’t be considered separately. When reviewing execution capability, the organisation must consider all four elements at the same time. And the four elements must be balanced. Big changes may be needed in some areas, small changes in others. Priorities will need to be set. To illustrate, it may be more important to spend extra money on HR training than to buy a new piece of software in IT. By considering all four elements at the same time, everyone will understand the priorities. Not only must each of the elements work well together, they must all operate at similar levels of effectiveness. Let’s imagine we score each element’s effectiveness out of ten. If three elements score a nine and one element scores a four, the effectiveness of the organisation will only be a four or five. 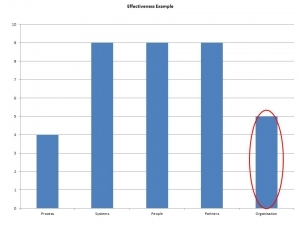 The lowest score determines organisation effectiveness. The departments that worked hard to reach level nine will have wasted the extra resource, energy and expenditure required. A plan to improve execution capability must balance the effectiveness of the four elements. A single, coordinated plan covering processes, systems, people and partners is required. The departments responsible for processes, systems, people skills and partners try to cooperate. But coordination at a detailed level proves difficult. A number of factors make the detailed coordination difficult. The four elements of process, systems, people and partners are interdependent. There are people who look after and support each element – process people, I T, HR and the various partner managers. Each works in a different departmental silo. They work independently of each other. The four elements operate interdependently but the people who look after each element work independently. The organisation structure keeps them apart. The annual planning cycle for most organisations has at least two significant steps. First, the core executive team will discuss goals and objectives for the following financial year/s. They will set objectives and then decide on the strategies to achieve those objectives. Second, detailed implementation planning takes place. The detailed planning usually occurs at department level. Each department develops a plan for how they will implement their part of the strategy. Then each department works to implement their separate plan. They all work on the strategy, but they do so separately. These separate plans, all implemented separately, make detailed coordination difficult. The departments who look after each of the four elements have different measures of success. HR will have HR key performance indicators (KPI’s). I.T. will have I.T. KPI’s. And so on. Everyone may have some measures or bonus tied to organisational performance. But for support organisations such as HR and IT, the link to organisation performance is remote. As a result, the support departments work on their department-specific KPIs. There is no great reward for working with other support departments, so they work in isolation. 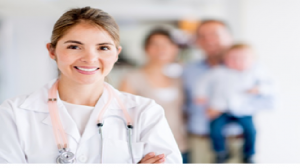 People from the different departments have different expertise and usually specialist language. Each department struggles to understand the specialist language of the others. A lack of common framework makes it difficult to work together. 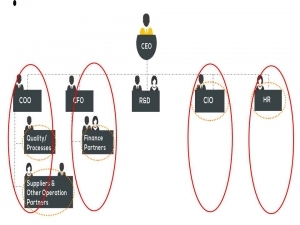 The departments have no simple way to analyse the operations of the business and agree actions. As a result, the different departments have difficulty communicating with each other. 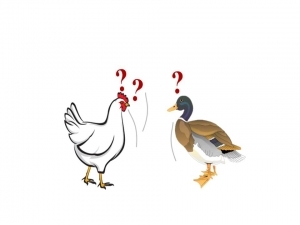 There’s a Chinese saying that captures this problem, “It’s like a chicken talking to a duck”. Execution capability has four elements – processes, systems, people skills and partners. 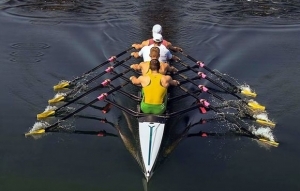 All four must operate in a coordinated way, like the cylinders in an engine or the rowers on a quad sculls boat. And they must operate at similar levels of effectiveness. Processes, systems, people skills and partners determining execution capability is like diet, exercise, sleep and stress determining personal health. The degree to which coordination of processes, systems, people skills and partners occurs determines execution capability. Execution capability determines the success of strategies. The challenge is to ensure all support departments focus on delivering execution capability, in a coordinated way. And not as a one-off exercise, but as a way of life. good strategy that failed due to a lack of execution capability?